LOS ANGELES--(BUSINESS WIRE)--SOLIDWORKS World 2017 – Stratasys Ltd. (Nasdaq:SSYS), the 3D printing and additive manufacturing solutions company, today announced that it is partnering with Dassault Systèmes to provide next generation design tools that improve the functionality, efficiency and weight ratio of additively manufactured production parts. Design optimization for lighter weight parts - 3D printed in a fused deposition modeling process (FDM), using less material than a traditional manufacturing technology to achieve the same performance. 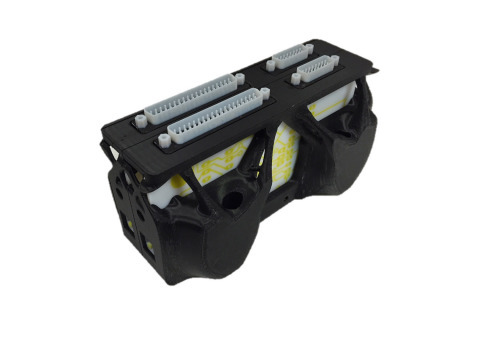 Weight savings increase efficiency and reduce cost beyond what is possible with traditional manufacturing processes. 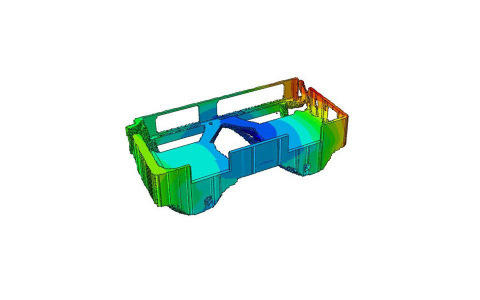 Strength and fatigue analysis that gives the confidence to expand applications for load-bearing 3D printed FDM parts and provide the tools needed to support part qualification. Print process simulation providing further insights into the residual stresses and performance of the 3D printed FDM part. A joint webinar entitled ‘Simulation-Driven Design and 3D Printing with Dassault Systèmes and Stratasys’ will be hosted live on Thursday, February 16, 2017 and will provide further details on the collaboration and early solution capabilities. A long-time member of the SOLIDWORKS Partner Program, Stratasys is also announcing a GrabCAD Print Add In for SOLIDWORKS. It enables the user to estimate and print parts without leaving the SOLIDWORKS environment, making 3D printing on Stratasys systems accessible to the entire community of SOLIDWORKS design and engineering professionals. Functions include material selection, slice height selection, part orientation, automatic layout, and more. The announcements are made at SOLIDWORKS World 2017 being held in Los Angeles, February 5 - 8. Conference attendees will have the opportunity to learn more about these capabilities in Stratasys’ booth #701 in the Partner Pavilion. For more than 25 years, Stratasys Ltd. (NASDAQ:SSYS) has been a defining force and dominant player in 3D printing and additive manufacturing – shaping the way things are made. Headquartered in Minneapolis, Minnesota and Rehovot, Israel, the company empowers customers across a broad range of vertical markets by enabling new paradigms for design and manufacturing. The company’s solutions provide customers with unmatched design freedom and manufacturing flexibility – reducing time-to-market and lowering development costs, while improving designs and communications. Stratasys subsidiaries include MakerBot and Solidscape, and the Stratasys ecosystem includes 3D printers for prototyping and production; a wide range of 3D printing materials; parts on-demand via Stratasys Direct Manufacturing; strategic consulting and professional services; and the Thingiverse and GrabCAD communities with over 2 million 3D printable files for free designs. With more than 2,700 employees and 1,200 granted or pending additive manufacturing patents, Stratasys has received more than 30 technology and leadership awards. Visit us online at: www.stratasys.com or http://blog.stratasys.com, and follow us on LinkedIn. The statements in this press release relating to Stratasys’ expectations of the benefits that it will receive from its partnership with Dassault Systèmes’ SIMULIA and Stratasys’ expectations of the benefits that users will gain by using the Dassault Systèmes’ 3DEXPERIENCE platform, are forward-looking statements reflecting management's current expectations and beliefs. These forward-looking statements are based on current information that is, by its nature, subject to rapid and even abrupt change. Due to risks and uncertainties associated with Stratasys' business, actual results could differ materially from those projected or implied by these forward-looking statements. These risks and uncertainties include, but are not limited to: the risk that the benefits that Stratasys expects from the partnership will not materialize, or could be less, than Stratasys currently expects, due to technical or other unforeseen reasons; and other risk factors more fully explained under the caption “Risk Factors” in Stratasys' most recent Annual Report on Form 20-F, filed with the Securities and Exchange Commission (SEC) on March 21, 2016. Stratasys is under no obligation (and expressly disclaims any obligation) to update or alter its forward-looking statements, whether as a result of new information, future events or otherwise, except as otherwise required by the rules and regulations of the SEC. 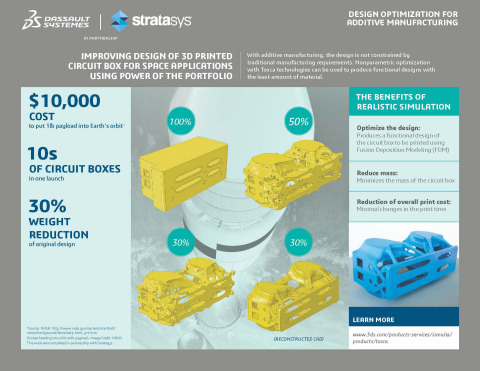 Stratasys today announced that it is partnering with Dassault Systèmes to provide next generation design tools that improve functionality, efficiency and weight ratio of 3D printed production parts.